It is well know that Nandamuri Balakrishna forayed into state politics in 2014 and contested for the Hindupur assembly seat. He won with a landslide and got elected as MLA from the prestigious constituency. Ever since TDP came into power, Balakrishna has been in constant touch with the people to know their problems. He also took swift decisions to solve these issues under the campaign Praja Darbar. Recently, Chandra Babu Naidu, the Chief Minister of Andhra Pradesh, carried out a survey to know the efficiency of the MLA’s in Andhra. 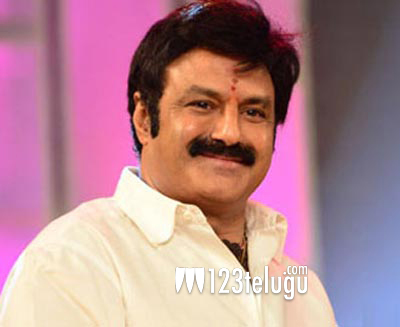 To everyone’s surprise, Balakrishna has been voted as the best MLA of the Ananthpur district. The survey stated that Balakrishna solved the major issues in the constituency and his tenure so far resulted in a better development of the region. Besides being a top actor, Balakrishna is now a top politician in Andhra. In the meantime, he is busy shooting for his 99th film in the direction of Srewaas. The regular shooting is going on at a brisk pace in Hyderabad.